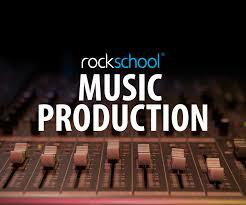 AIPA follows the World's First Graded MUSIC PRODUCTION SYLLABUS from ROCK SCHOOL of Music LONDON. AIPA teaches and conduct exams at there center in MUSIC PRODUCTION. On completion of a Rockschool Music Production grade, every candidate will own a wealth of technical, practical and theoretical knowledge that they can apply to real-world scenarios - whether it's in audio production, electronic music production, mixing, editing, mastering or sound for media. For More Info visit : https://www.rslawards.com Accreditation The qualifications regulators of England, (Ofqual) Wales, (DfES) and Northern Ireland (CCEA) accredit Rockschool Graded Music Exams, Entry Level (Debut) to Grade 8 plus the Teaching and Performance Diplomas. The qualifications regulator of Scotland (SQA Accreditation) accredit Rockschool Graded Music Exams, Grades 1 to 8.